Nice! I think that would scare the heck out of me. She must really trust you! Nice! What tyres are those? that's one chuffed little lady you'll have there Al! 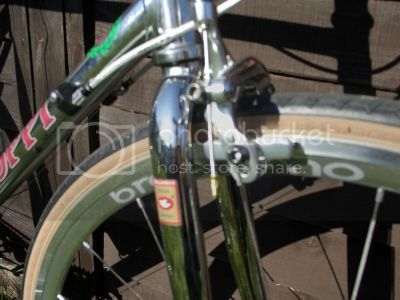 Also, are those full 700c wheels or 650 (or maybe even smaller)? 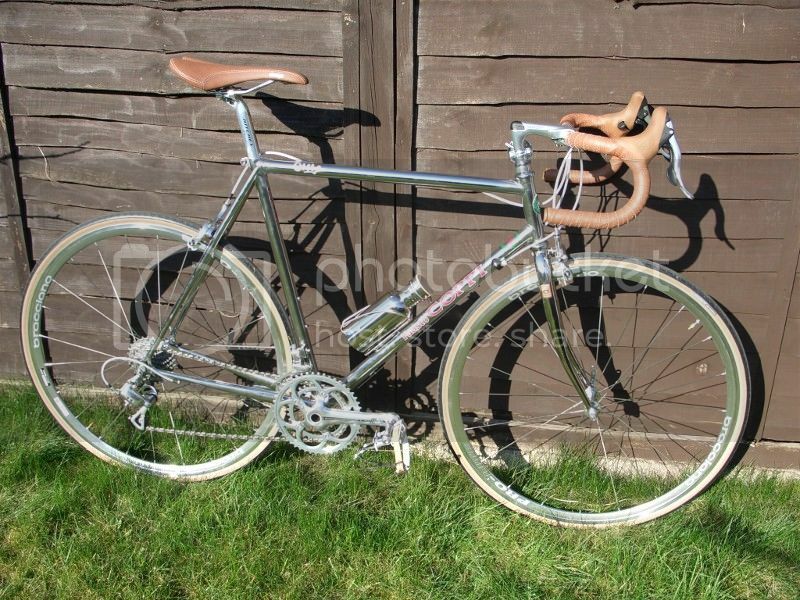 My latest build - steel framed road bike. 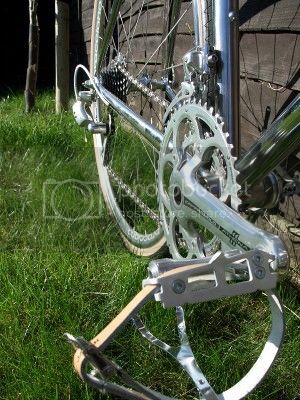 Modern components, retro style. What are the bars? Nitto Noodles? Close! They're Velo Orange, but made to the same design I think. I find them really comfortable. 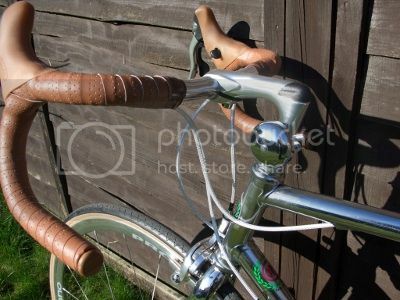 I have just bought a new single speed. 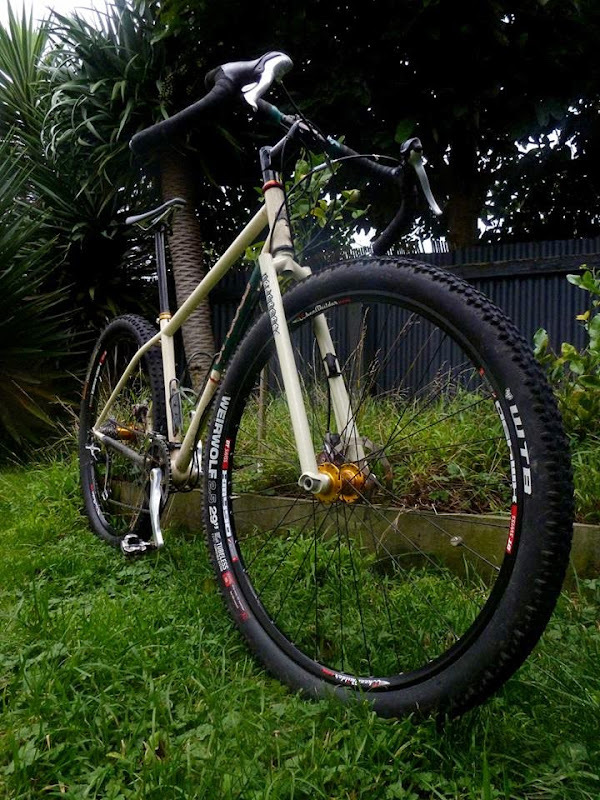 It was advertised as a Butcher's Bike, it's now being ridden by a vegan. I suspect it may actually be a Post Office bike as it's a Pashley and that is what they are best known for. 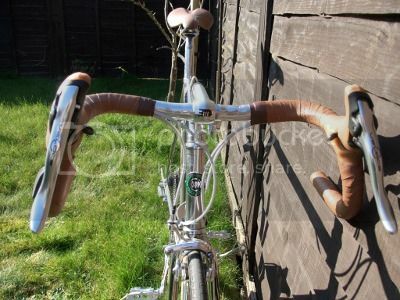 There doesn't seem to be much information on vintage bikes on the web and no vintage bike community in the way there is for vintage cars and motorbikes, so I'm still searching for details about what it really is. 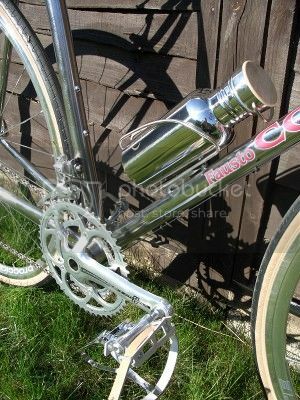 I found that Pashley were still using rod brakes in 1983, so it may not be as old as it looks. Could be Royal Mail like you say, or I've seen them on large factory sites etc. Can't make out from the pic but does it say Police on the seat tube? As ever, the CTC forum might be able to shed some light on it. 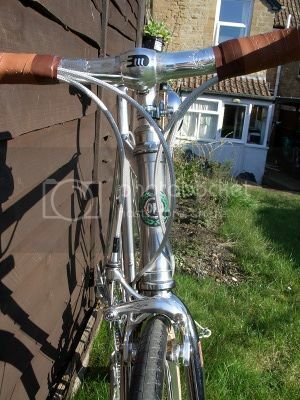 I've done a bit more searching and all the Post Office bikes I can find of this style have either got a twin top tube or a distinctive bent top tube. Someone on STW forum remembers riding a similar bike on a BP chemical site. It's got a number tag on the seat tube, so I'm guessing it came from a fleet of bikes somewhere. The writing on the frame is "R Price" stenciled on. I stuck a pic of this in my log, but I thought this thread could use some life too. After six months of inaction after destroying my fork, I finally have my Gryphon up and running again. I replaced the fork with an Igleheart - steel of course! 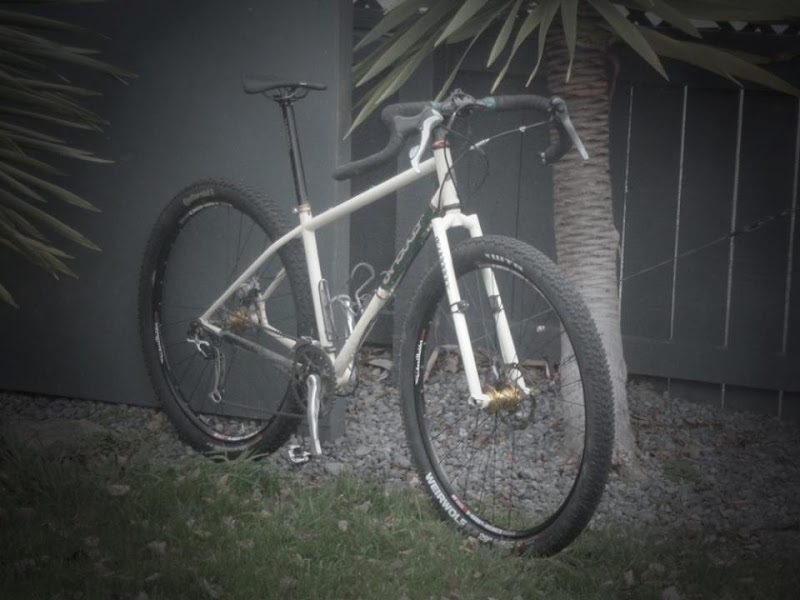 I went with a 15mm axel; I have no idea if that was a waste of money on a rigid fork. 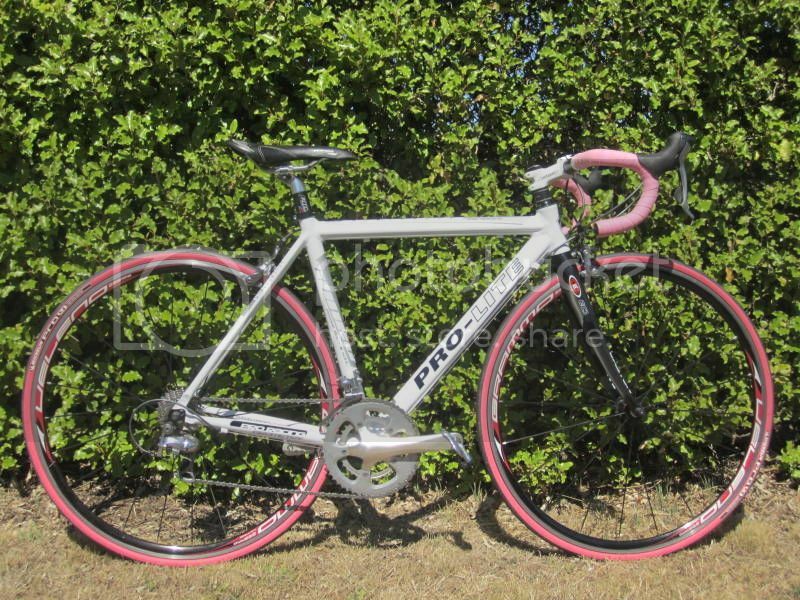 I also replaced the wheelset and a few other bits, so it has had a pretty solid makeover. I did my first ride on it in the mud and rain yesterday and really enjoyed it. That was fairly flowly single track and it was great, I am looking forward to some rougher technical riding to see how it feels.